…Yet as that eerie artwork and indeed the band's past work would suggest, there are darker elements at work here, and the black metal elements are not shy. Opener Saturaatio beats with a black heart beneath the acid rock sound effects and echoing electronics, an insistent drum beat and hypnotic guitars forming a corrosively intense unit alongside vocals that move from black metal snarls to almost choirlike chants and howls. It's a dark voyage, a bleak stumbling psychedelic journey in a way that much black metal attempts to be but never manages. That sense only continues as the album progresses, the ritualistic title track a good example, echoing chords in a strangely calm environment, growing harsher and more threatening on Hypnotisoitu Viharukous as the vocals turn to tortured screams and the backing melodies grow ever more stranger, more otherworldly, like you've stumbled on some horrific Lovecraftian ceremony. The best tracks present are the longest ones, the seventeen-minute horror of Vasemman Käden Hierarkia perhaps the pinnacle; drawing you in and holding your ears hostage as the track proceeds to trip itself into the most paranoid, crawling mindfuck of a bad experience imaginable. Bass jams that travel into nothingness, echoing riffs, distant keyboard hums and trills; it's like a lost Hawkwind experiment after the band took some very bad drugs and got abducted by aliens. Genuinely psychedelic, it seems like the track is stretching at the edges although this might just be your mind attempting to make sense of what it's hearing. The moment partway through when the band launch into a sickening early doom swing backed by swirling, nauseous effects is particularly effective, especially so as the effects slowly grow in volume until they nearly drown everything else out. Seventeen minutes go by in a flash; indeed, this is the shortest-feeling hour-plus black metal album that I've heard in a long while. It's even paced well; bringing things to a close with Valveavaruus, which focuses more on the electronic aspects explored elsewhere, replacing drums virtually with an electronic beat for all but the last few seconds of the track. 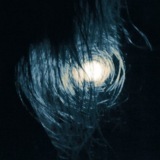 A winding-down in tone and feel, it's a great end to a great album, perhaps the best yet from Oranssi Pazuzu. Well worth your time.